FOX has ordered "SPIN THE WHEEL," a high-stakes game show offering a chance to win over $20 million per episode. Executive-produced by Grammy and Emmy Award-winning musician and actor Justin Timberlake, and hosted by actor, director, writer and comedian Dax Shepard (“Hit and Run”), the show offers life-changing opportunities to win fortunes each episode with the spin of a massive, unpredictable wheel. The show, created by Timberlake and Andrew Glassman (“The Wall”) of Glassman Media, is scheduled to premiere during the 2018-2019 season on FOX. A suspenseful, high-energy mix of pop culture trivia, strategy and simple whirling luck, "SPIN THE WHEEL" pits contestants against a colossal, spinning 40-foot wheel that holds incredible sums of cash prizes in its rotation. Throughout the game, players will answer trivia questions – each correct answer adds more extreme amounts of cash in the wheel’s wedgesin a strategic location of their choice, while each incorrect answer adds more dangerous wedges that could instantly bring their total back to zero. With massive prize money on the line, contestants must make sweat-inducing, gut-wrenching decisions: whether to walk away or risk it all to "SPIN THE WHEEL" one last time. "SPIN THE WHEEL" was created by Justin Timberlake and Andrew Glassman and is produced by Tennman Entertainment, Glassman Media and LBI. In addition to Timberlake and Glassman, Rick Yorn and Johnny Wrightexecutive-produce the series. The show will be distributed internationally by IMG. “Like” SPIN THE WHEEL on Facebook at facebook.com/SpinTheWheelFOX. Follow the series on Twitter @SpinTheWheelFOX and join the conversation using #SpinTheWheel. Check out photos and videos on Instagram@SpinTheWheelFOX. 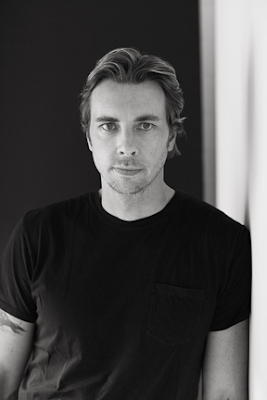 While attending the University of California Los Angeles, Detroit native Dax Shepard trained at The Groundlings Theater for improv and sketch comedy, and landed his first TV role on “Punk’d” in 2003. Since then, Shepard has appeared in multiple films, including “Without a Paddle,” “Idiocracy,” “Employee of the Month,” “Baby Mama,” “The Judge” and “This Is Where I Leave You.” He wrote, directed and starred in three films: “CHIPs,” “Hit and Run” and “Brother’s Justice” (co-directed by David Palmer). He also starred in the network television drama “Parenthood,” for which he received a 2015 People’s Choice Award nomination. Shepard recently completed production on the FOX comedy pilotBLESS THIS MESS, opposite Lake Bell. He also recently launched “Armchair Expert,” a podcast in which he talks with some of the most iconic creative personalities around the world. Glassman Media is an independent Los Angeles-based international television production company whose credits include game show “The Wall” (NBC), produced in partnership with LeBron James, Maverick Carter and their production company, Spring Hill Entertainment. Other credits include dating series “Average Joe” (NBC); unscripted series “Three Wishes” (NBC); the dating franchise “Sweet Home Alabama” (CMT); and the recent reboot of “Battle of the Network Stars” (ABC). Adaptations of Glassman Media original formats have been done in territories around the world.Glassman Media was founded by Andrew Glassman in 2001, following his successful career as an Emmy Award-winning investigative broadcast journalist, during which time he appeared on-air at NBC News, CNBC, MSNBC, WCAU and WNBC.